Board of Commissioners passes resolution to advocate repeal of Michigan’s Stand Your Ground Law. Many members of the community came to speak both for and against the resolution. The speakers were about 2 to 1 against approval of the resolution. Many of the speakers in favor of the resolution spoke against the carrying of a handgun because they felt it increased the likelihood that someone would be shot. The laws for which the resolution advocates repeal do not affect the right to carry a handgun. Some of the speakers also said that they felt the law or its application was racist. Some advocates for repeal have cited the Travon Martin case in Florida as a reason that the law needs to be repealed, although the Florida Stand Your Ground Law was never invoked at that trial. The speakers who were against repeal of these laws most often spoke of their right to defend themselves and their families from criminals who threatened them. Many gave statistics on the likelihood of harm to victims who tried to run away. All but two of the Commissioners spoke at this meeting or a previous meeting about their positions on the resolution. Two Democrats voted against the resolution but never spoke to explain their positions. Those included Roland Sizemore and Kent Martinez-Kratz. Republicans Alicia Ping and Dan Smith both voted against the resolution. Commissioners who voted to approve the repeal resolution included Board Chair Yousef Rabhi, Commissioners Ronnie Peterson, Andy LaBarre, Conan Smith and Felicia Brabec. This means that an individual who is threatened with death or great bodily harm must be able to prove not only that the threat is reasonable but that they had no alternative to the use of deadly force. The prosecutor has the entire power and resources of the state to prove their case but the County Commissioners want to shift the burden of proof to the individual citizen. In addition, they want each gun owner to know and follow the gun laws in every jurisdiction to which they travel. They want the State to become a hodgepodge of differing and conflicting gun laws. 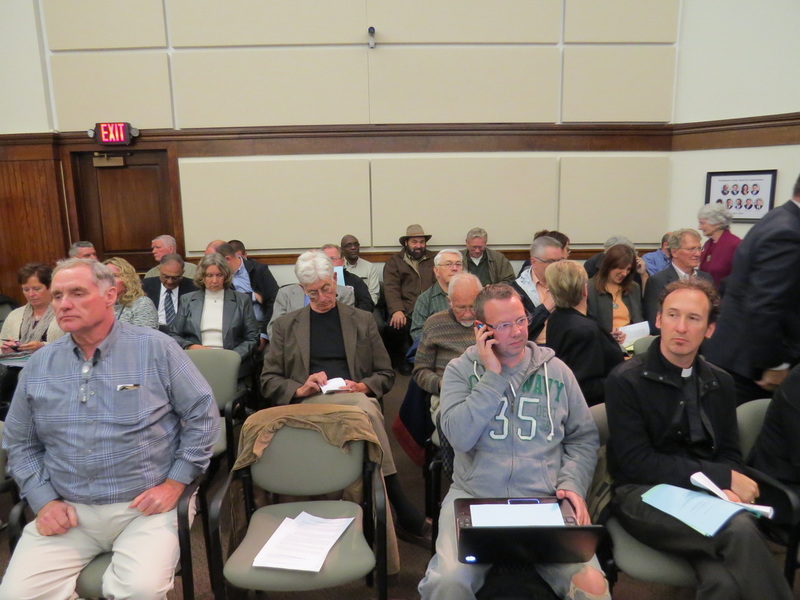 Although the resolution was not on the agenda for the October 2, 2013 meeting of the Board, twelve people showed up to make public comments opposing the resolution and one spoke in favor of the resolution. Three commissioners spoke, indicating that they favored the resolution, Andy LaBarre, Conan Smith and Yousef Rabhi. One commissioner spoke, indicating that she was opposed to the resolution, Alicia Ping. 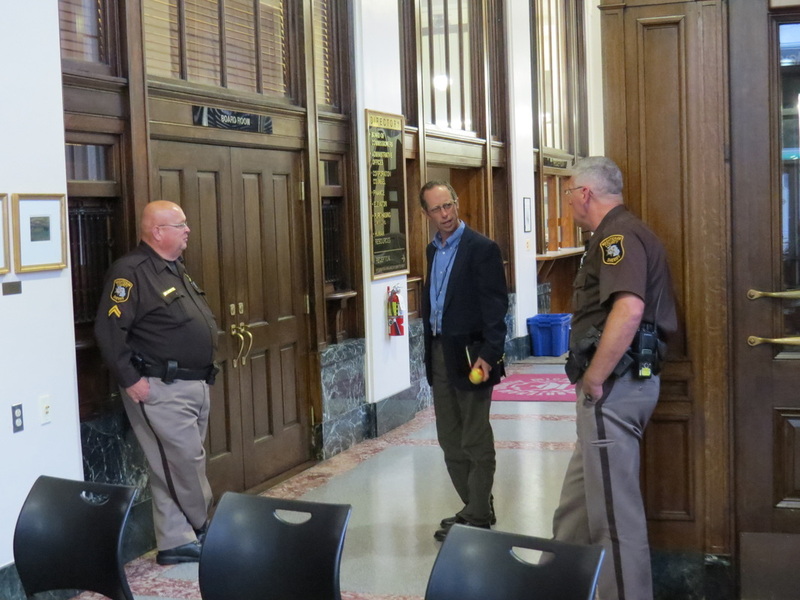 MLive reporters did an extensive study on justifiable homicide cases in Michigan. They found no significant rise in the incidence of justifiable homicides in Michigan from the early 2000’s until 2010 despite the enactment of the Stand Your Ground law in 2006.